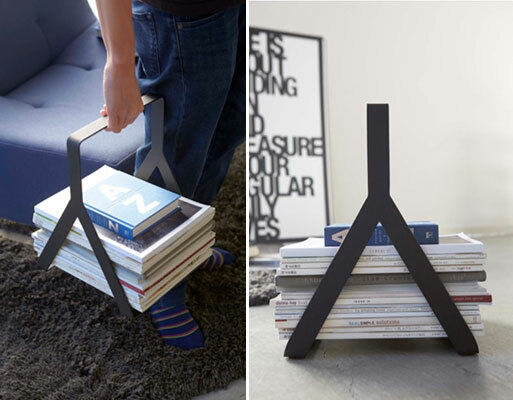 It’s hard to get too excited by a magazine rack, unless having your current stack of books and magazines stacked up perfectly straight is exciting (no one is judging you, promise). 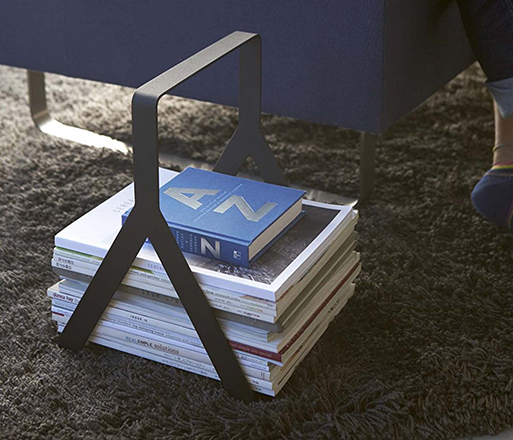 A handle on this rack makes carting your stack from the living room to office or bedroom easy, which might just make you a more well-rounded reader. The simple, futuristic styling is pretty perfect.